While in South Africa I was blessed to have a couple homemade meals. On Tuesday after work one of my students dropped me by my friends so I could go to Bible study with them. Of course, we needed to have some dinner and I was treated to some South African comfort food. 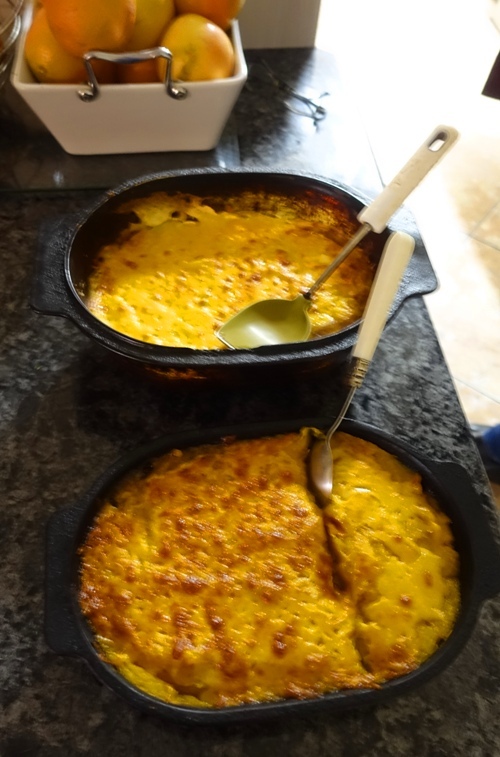 My friend Candice, who was only a little girl when I last visited South Africa, cooked two cottage pies for dinner. She made two types of cottage pie. One was very traditional and the other had the addition of pumpkin. You can see here that cottage pie is very similar to shepherd’s pie, and it is really all in the name. Of course, there are many different variations of exactly what is in a cottage or shepherd’s pie. 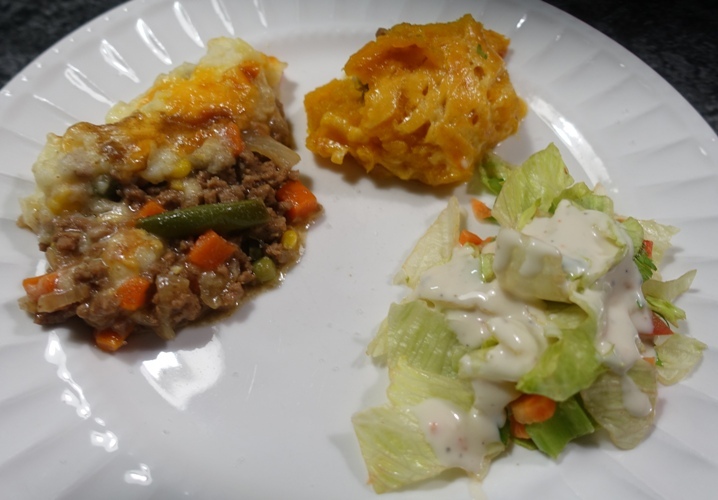 However, the unifying theme is minced meat and vegetables topped with mashed potatoes and cheese. 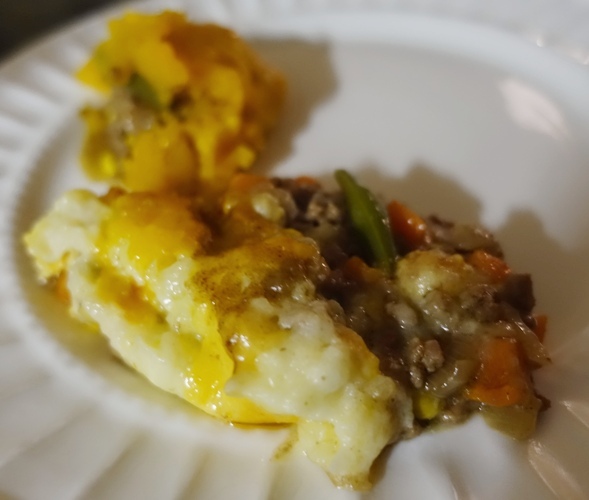 The Afrikaans word for this dish is herderspastei, which would translate to shepherd’s pie. The addition of the pumpkin made for a nice sweet taste to the cottage pie and I really enjoyed it. They were both so delicious that I just had to have seconds. It was a wonderful evening spent together talking about many different things and just enjoying our time together. It is wonderful to have friends around the world that I can visit when I travel. 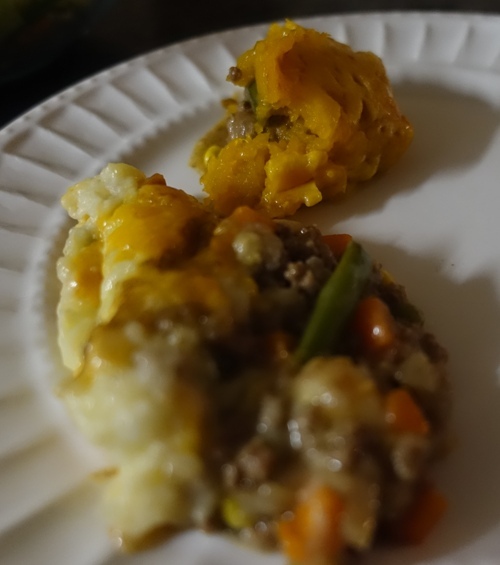 This entry was posted in Culture, Food, South Africa, Travel and tagged cheese, cottage pie, herderspastei, homecooked meal, mashed potatoes, minced meat, salad, shepherd's pie. Bookmark the permalink.